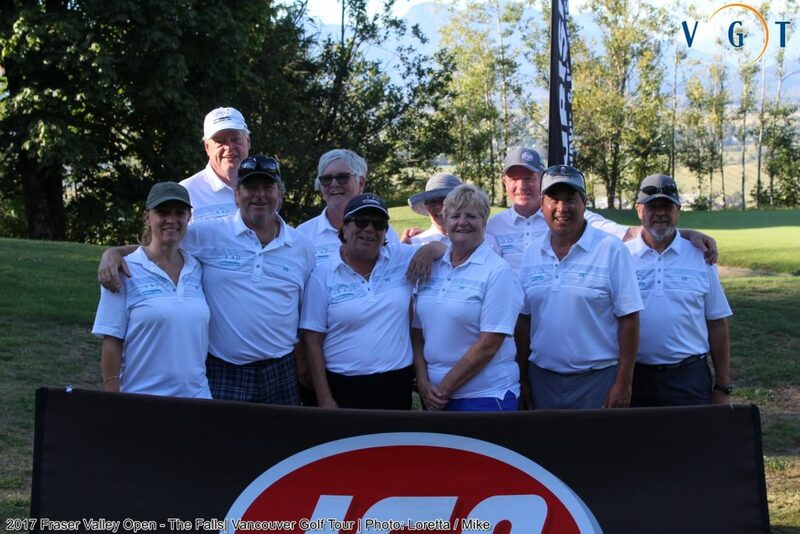 For the 4th straight year the First Class Waste Fraser Valley Open showcased three of the Fraser Valley region’s premier golf facilities to some of BC’s Top Professionals and Amateur golfers: Chilliwack Golf Club, Sandpiper Golf Course and The Falls. 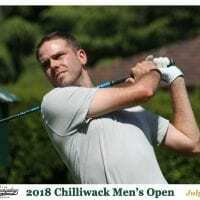 All three courses offered the 95 player field it’s own set of challenges: Chilliwack Golf Club with it’s beautifully manicured fairways and greens testing player’s ability to split the tree-lined fairways and make crucial decisions on many risk-reward type holes. Sandpiper’s spectacular water and mountain vistas off the shores of the Harrison River can lure you to sleep while the swirling winds play havoc with club selection and challenge your scoring. And The falls with some of the most picturesque hillside vistas certainly keeps your senses sharp with trouble lurking on both sides of the fairway. Add to the challenge the sloping terrain and multi tiered greens, and you’ll find that iron shot accuracy is a must to score low. And that’s exactly what the top players did this labor day long weekend! 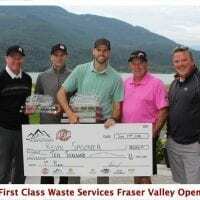 In fact, for the second straight year, West Van’s Kevin Spooner was too hot to handle in the Valley at the First Class Waste Services Fraser Valley Open. In fact, the hotter it got over the weekend, the hotter his game got, firing impressive rounds of 67, 68 and a final round 64 for a 16-under par total and commanding 4 shot win. Spooner’s final round 64 on Sunday came with a phenomenal run of 5 straight birdies on holes 7 thru 11, and a clutch string of 4 birdies in his last 5 holes! Spooner would have stolen all the headlines setting a course record 64 at The Falls had it not been for UBC Alumni Scott Secord’s 63 that included a 60 foot bomb for eagle on the final hole. Secord smashed the current course record that was set by Predator Ridge’s Garrett Kucher in last year’s Fraser Valley Open event! Spooner’s golf career has been on a bit of a roller-coaster the last 4-5 years. After playing inconsistently at best (in his own words) while at University of Washington, the last thing on Spooner’s mind was turning Professional. So at graduation, instead he headed north to his home in West Vancouver and decided to put his degree o work in the financial sector in 2011. But after a few years, and a pretty unstable job market in Vancouver, he realized that at the time, that line of work wasn’t for him. Perhaps it was a near flawless round of 58 up at Capilano on men’s night that spurred him to consider taking his game out on tour. Either way, soon after that, Spooner made the decision to turn Pro and see where he could bring his game to before he had any regrets. And after a partial season on the Mackenzie Tour in 2014 and a run of decent results down south on the Gateway Tour in Phoenix that winter, Spooner embarked on a season on the Mackenzie Tour in 2015 without a tour card or full status. 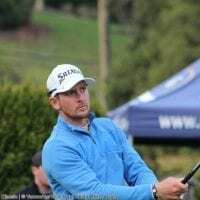 In his second event he took advantage of an exemption he earned into the Victoria Open, rolling it into a 9th place finish. This gave him a spot into the Ft. McMurray event the following week. Playing some of the best golf of his life for the 4 days, Spooner would win his first Mackenzie Tour event with a closing 63 and winning a 5-man playoff on the 4th hole. He would end up 10th on the Mackenzie Tour Order of Merit that year. But less than 12 months later, citing a battle with the driver yips that had challenged him in University, Spooner was ready to pack in Tour Golf. Fast forward 15 months later, and the 28 year-old Capilano Golf & Country Club member seems to be enjoying golf much more. 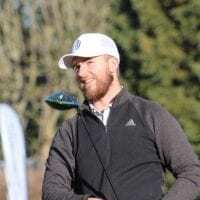 While working full-time at a local firm in North Vancouver, he has earned 3 very valuable wins and a 2nd place finish in only 7 Vancouver Golf Tour starts. 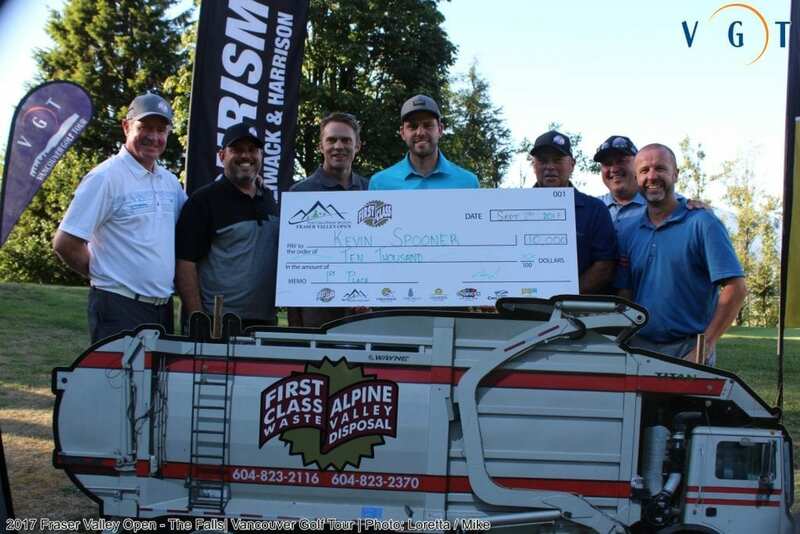 His earnings in those 7 events has toppled over $25,000 thanks to the two sizeable $10,000 winner’s cheques at the Fraser Valley Open and a $3,000 winner’s cheque at the 2016 HollisWealth Tournament of Champions Pro-Am. This begs the question. Is Spooner contemplating heading back out on tour after such a dominating Fraser Valley Open performance? After an interview with him after his win, the answer is a definitive NO. In his words, the stress and anxiety of tour life is simply too much for him without a steady income. “I really don’t see myself heading back out on tour knowing I have some demons I am still fighting through” stated Spooner. “I really do enjoy coming out and playing tournament golf (with the VGT and other mini tours) knowing it is not my only source of income”. Asked if he was to find some sponsors to head back on tour, would he re-consider going back out there, and his answer was still no. “Too much stress trying to make a living from just playing” he cited. “Even with a sponsor it can be a grind from week to week with the expectations of needing to play well to continue moving forward with 1,000’s of talented golfers doing the same”. That begged the question: “What would it take for you to head back out there full-time”? Well, asked if he won $10Million in the lottery tomorrow, would he? “ABSOLUTELY. Now that would be fun”! Like so many young Canadian Golfers, the financial obstacles to playing full-time tour golf are very much present. The goal is always to find more corporate sponsors, as a player, and for a developmental tour. If we can find more believers in sport development like IGA, First Class Waste Services, Srixon / Cleveland Golf Canada and Johnston Meier Insurance (to name a few), to support golf locally, we would be able to put up more $10,000 first place cheques, and keep less of our talented young golfers slipping through the cracks. For now, Spooner will continue to make his living with his business degree at a local firm in North Vancouver called Fathom Marine. That is until he’s won the lottery or designed a Million Dollar App with that business degree of his!! 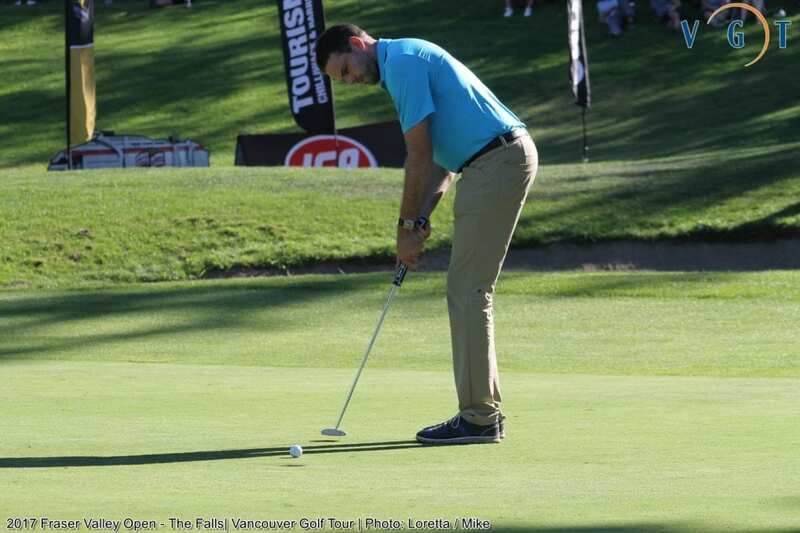 The Fraser Valley Open not only featured some of BC’s top Professional Golfers looking to score a $10,000 first place cheque, but it also featured some exceptional local Amateurs vying for the Low Amateur Title as well as Low Net Champion. 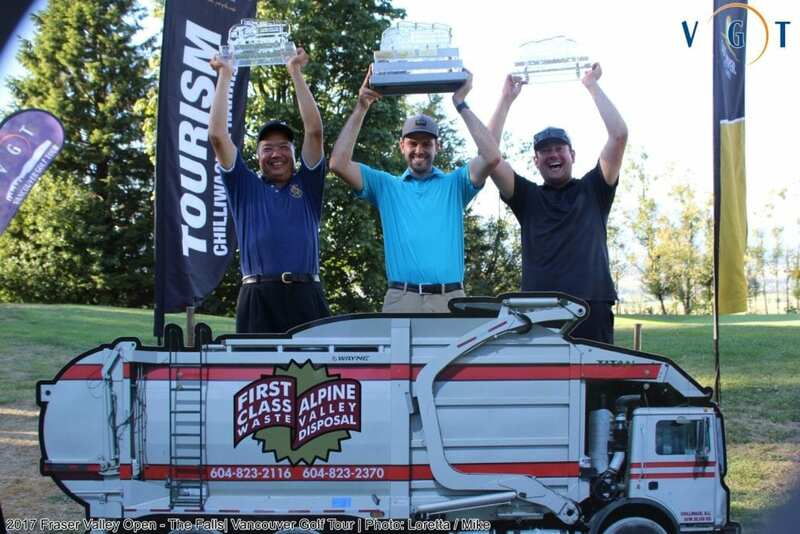 After 36 holes it was a pretty close battle between two Chilliwack golfers, Jerome Cavanaugh and Mathew Lamb and Richmond Country Club’s Mike Aizawa. 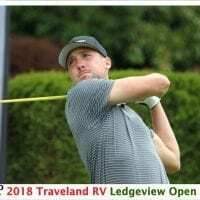 Cavanaugh held a 3-shot lead heading into the final round over both players and at the end of the weekend was just too much to handle, shooting a 1-under round of 70, good enough for a 5-shot victory over Aizawa. This was Cavanaugh’s first win on the VGT in 2017, and one of very few events he has played in this year with the birth of a new child earlier this year. For Aizawa it was his 2nd runner-up finish to add to his 2 wins this season. 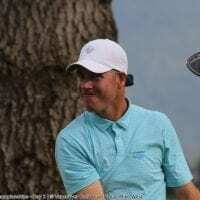 He heads into the final 3 VGT stroke play events with a sizable 3,000 point lead in the Srixon / Cleveland Order of Merit over Abbotsford’s Dean Reddicopp. In the handicap division of the tournament it was Raymond Kiem who stole the show with a mind-blowing final round net 61 to overcome a 12-shot deficit on Sunday over Mathew Lamb for the Overall Net title. Our sincere and continued thanks go out to the Title Sponsor of the Fraser Valley Open. Don Mayhew of First Class Waste Services has injected so much life, energy and hard earned cash into this event, allowing for the event to boast one of the largest combined Pro and Amateur purses ($58,000) in all of BC! The purse and prizing would not be there would it not be for the support of many of Mr. Mayhew’s suppliers and business colleagues and the three Presenting Sponsors who have been on board since year one: Chances Chilliwack, Tourism Chilliwack and Tourism Harrison Mills! Our continued thanks to the whole Fraser Valley Open committee for launching this great event 4 years ago and for pouring so much time and energy into making this event one of the richest and most Premier golf events in British Columbia!! Special thanks to all 3 Golf Course Superintendents (Lawrence Kinch – Sandpiper, Dwayne Grossart – Chilliwack GC, Kirk Hertzog – The Falls) and their support crews for setting up all 3 courses in wonderful condition for the competition and testing some of BC’s best golfers.